Following the initial reveal in Weekly Jump last week, Bandai Namco has officially announced Naruto Shippuden: Ultimate Ninja Storm Trilogy for Switch. It’s coming out pretty soon as a release is planned for April 26 in Japan. Pricing is set at 6,800 yen. 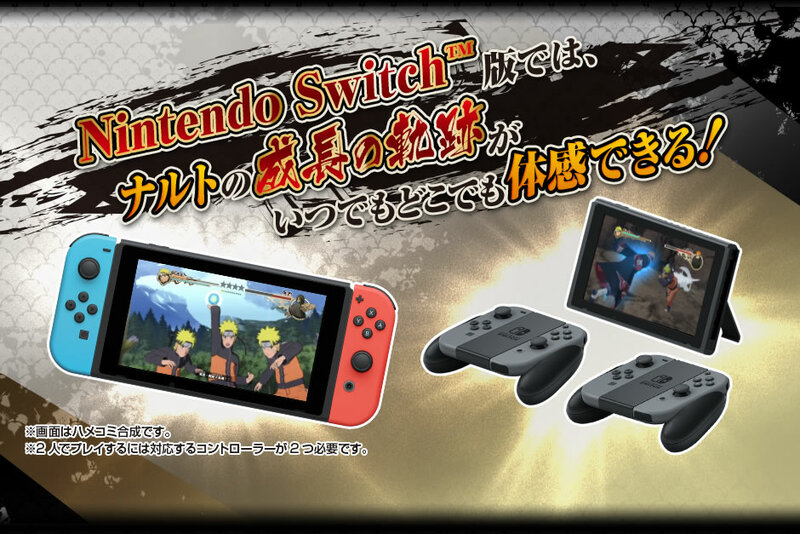 Naruto Shippuden: Ultimate Ninja Storm Trilogy will support the Joy-Con (including the Joy-Con Grip) and Switch Pro Controller. Using just a single Joy-Con is not supported, however. The package allows for one to two players when docked or in Tabletop Mode. For portable play, one player is supported, but online supports two players in Naruto Shippuden: Ultimate Ninja Storm 2 and up to eight players in Naruto Shippuden: Ultimate Ninja Storm 3. Naruto Shippuden: Ultimate Ninja Storm Trilogy is confirmed to run at 30 frames per second across the board. The game has a 1600×900 resolution when docked and 960×540 resolution during portable play (or in Tabletop Mode).